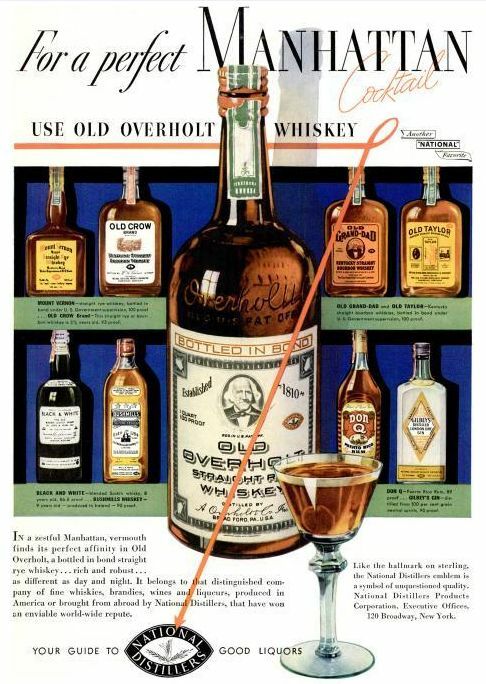 A while back, I mentioned that Old Overholt rye was once bottled at 100-proof. Here, pardon the pun, is proof. Click through to view these in a larger size. 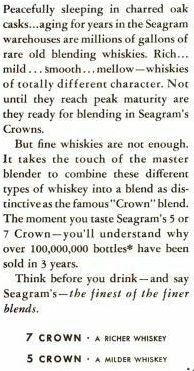 The biggest surprise in this ad might be how few of these bottlings are now “ghost” brands. Of them, only Mt. Vernon rye is currently out of production. The rest are still going, even if some of them are limping along. 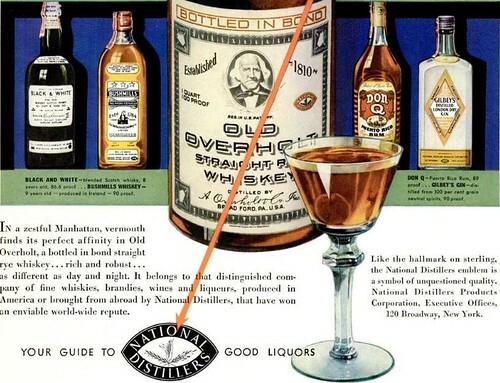 National Distillers didn’t fare so well; the Beam company bought its assets in 1987. What’s the latest? 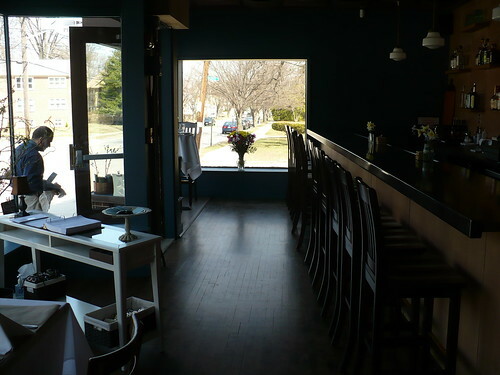 We’re open for business! Not much time for blogging, so here are a few photos shot during our opening week, some by Jen and some by me. St. Paddy’s Day menu. Photo by Jen. Jen’s Friday martini. Photo by Jen. Friday dinner. Photo by Jen. The barman straineth. Photo by Jen. 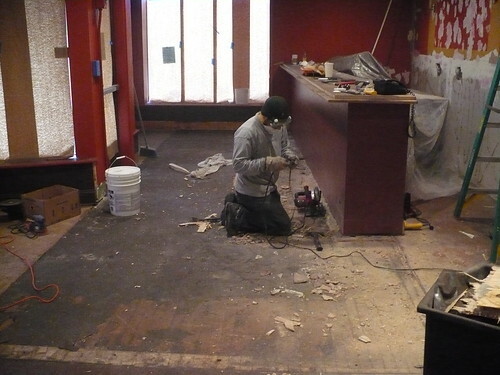 Chef/owner Nemo Bolin working on the floors in the bar, February 14, 2010. Photo by Dietsch. 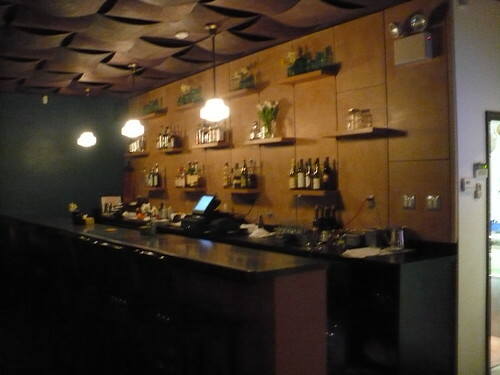 Bar, March 19, 2010. 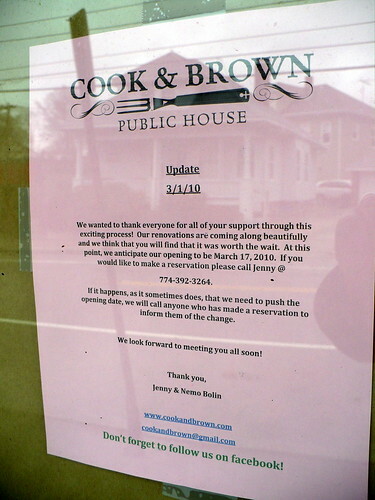 We’ve come a long damn way in a month. Photo by Dietsch. 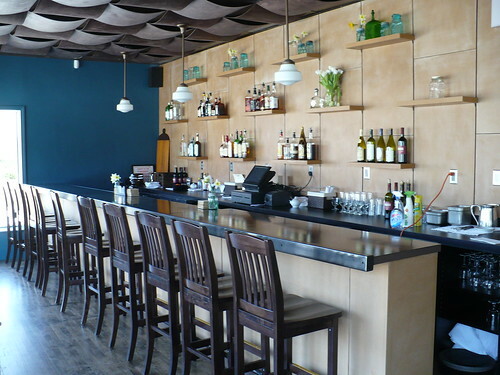 Bar by day. Photo by Dietsch. 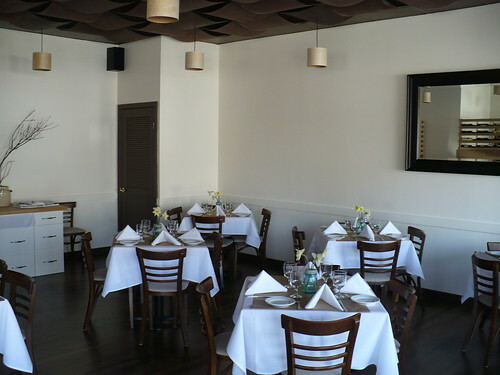 Dining room by day. Photo by Dietsch. 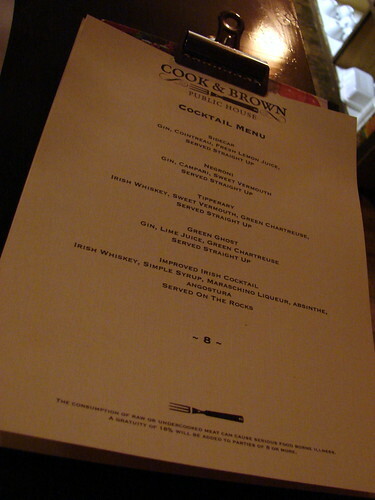 DISCLAIMER: I am no longer a part of Cook and Brown. A nice representation of post-Prohibition advertising, and perhaps a potshot at American distilleries, who were still ramping up production after repeal in 1933. 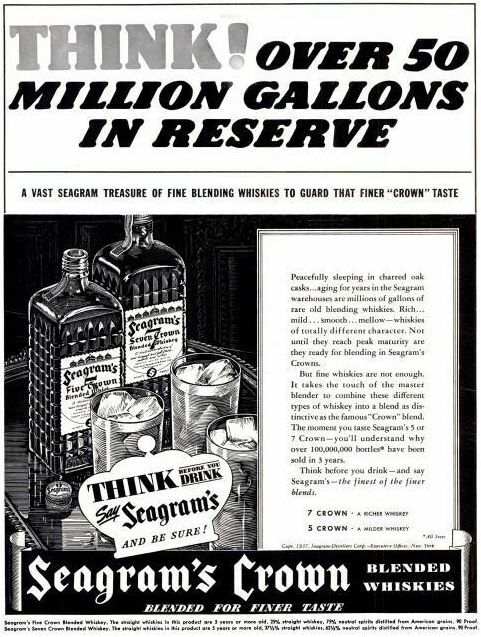 Remember, whiskey is aged, so even by 1937, American brands wouldn’t have produced anything near the 50 million gallons of Seagram’s, which of course was a Canadian firm.